The weighted vest that Jane asked about. Adding weight to my walk! I can see why you’re putting so much attention on wearing a weighted vest. Stronger muscles and a heavier body are often associated with stronger bones. Since you’re only 92 pounds, you don’t have the protective factor that being overweight has for bone density. If you haven’t gotten the ok from your health care provider to wear a weighted vest, do that first. The method that you’re using of gradually increasing the weight of the vest goes along with the thought that bone responds well to unique and varying intensities. 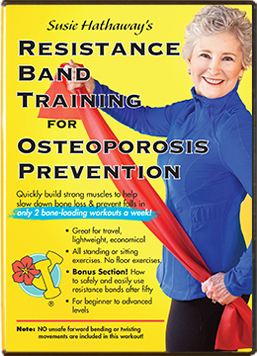 Kate Lindeman, who writes the osteopenia3.com website, has a description of that method in her Feb. 2013 newsletter. With your diagnosis of osteoporosis, ask your health care provider for a referral to a physical therapist (PT) experienced with patients with bone loss and possibly a dietician. Even just one appointment with a PT could set you on a course of safe movement with osteoporosis and the optimal use of your weighted vest. As a group, older adults often get enough protein in their diets. A dietician could help you plan a balanced vegetarian diet with enough protein that will also be healthy for your bones. Sitting while wearing the weighted vest won’t give your bones the stimulus that it’s intended to give. –Maybe a little bit to the spine, but certainly not to the hips. 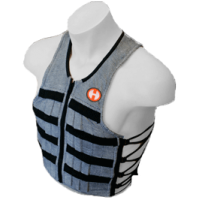 There isn’t a set protocol for weighted vests; you’ll need individual guidance. You’ll also need to maintain perfect, upright posture the entire time that you’re sitting with the vest on…hard to do. Otherwise, you’ll go into a forward flexion of the spine which isn’t good for your bones or intervertebral discs. 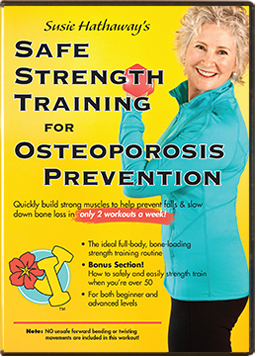 The Better Bones and Balance Program uses weighted vests only after several months and then only during their 3 hours a week of exercise, as far as I know. I don’t know if BB&B participants wear the vests at other times of the day. Lift weights twice a week for strong muscles and bones. I would think that doing resistance/strength training twice a week and weight bearing cardiovascular activities like brisk walking several days a week would give more direct stimulus to your bones and be more helpful than wearing a weighted vest for so many hours and days a week. It’s a process of rest and activity, especially with strength training. Your muscles need to rest in order to rebuild themselves stronger. Too much exercise is counterproductive. 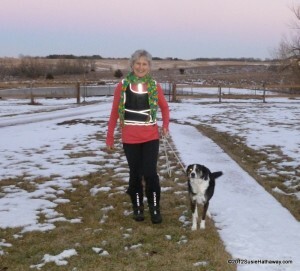 You might also take a look at the safety tips of wearing a weighted vest in my blog post from last winter. We’re in a time when there is much research being done to see what types of exercise can help bones. More research needs to be done, but some of the current research suggests that weighted vests are among the tools that can prevent bone loss in the hip. Just make sure that it’s safe for you with your health care provider. 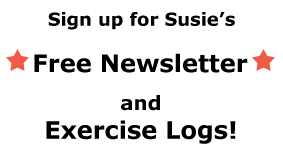 A long answer to your short question, but it’s good to know the background information! Keep up your great focus on exercise, Jane! I was just diagnosed with osteoporosis, very severe for my age, I am 58. I was told to limit my lifting to 20 lbs. I want to do all I can to strengthen my bones and am so glad to find your dvds. I am starting them today. I also am walking 30 minutes a day. I try to get over 10,000 steps every day. Would it benefit me to wear a weighted vest only when I do my 30 minute brisk walk each day and gradually get heavier, not a longer time, or do you have to increase the time you wear it also for it to be effective? It is not something I can wear to work. The short answer is wearing a weighted vest for brief periods of time just might be better than long periods. 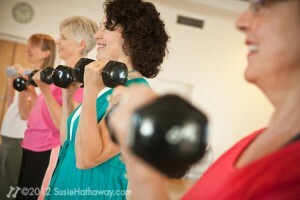 Varied exercise and weight keep our bodies “surprised” and on their toes. I keep my weighted vest by the stairs and simply carry it up and down often, besides wearing it for a walk occasionally. But first, do no harm! Please get your healthcare provider’s approval to wear a weighted vest. If you have any rounding of the spine, a weighted vest would add more forward pressure, increasing the risk of vertebral fracture. YOU MUST KEEP PERFECT POSTURE AT ALL TIMES WHILE WEARING A WEIGHTED VEST! At work, get up every 20 minutes and take a few steps to remind your bones to stay strong.